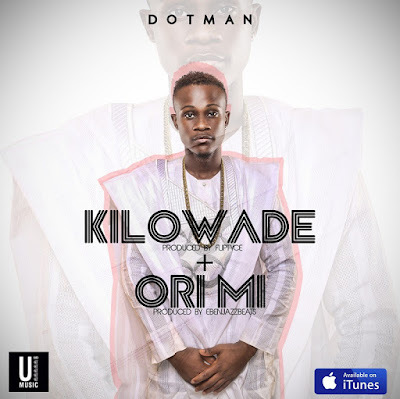 As e never tay wey him release him single; ‘Yes, Melo Remix" wey him feature Olamide Baddoo, Dotman don announced the release of two new singles wey him call ‘Kilowade’ and ‘Ori Mi’. ‘Kilowade’ na freestyle wey him come up with a few weeks ago when him dey tour for Ibadan and the promoter for the show no fee am well. The second one na prayer song for all of us this period of jolification. Dotman too dey specially dedicate the song to him people, U & I Music, Olamide & him plenty fans for the support wey dem give am.